Cohere Studio is a multidisciplinary design firm committed to creating and enhancing online brands and solving business challenges through use of strategy, design, technology and behavioral sciences. We work with industry-leading Fortune 500 brands and startups alike, including AT&T, BNY Mellon, TechCrunch, Condé Nast, Martha Stewart, Wiley & Sons, Danone, Starwood, mLab and Gust to name a few. The studio was founded in 2008 by designers Dmitry Paperny and Jeff Jouppi, who have been collaborating on online projects for over 12 years and who share a desire to create and build elegant, simple, user-friendly and technically advanced sites, apps and web tools. Working alongside Dmitry and Jeff is a close-knit team of designers, developers, user experience engineers and content pros, augmented by a network of partners with shared work history, design sensibilities, and commitment to quality. 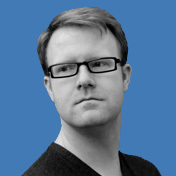 Prior to co-founding Cohere Studio Dmitry served as Creative Director at Time Inc. Interactive, responsible for the design and branding of category-leading websites such as In Style, EW.com, Real Simple, LIFE.com, My Recipes and My Home Ideas, Cooking Light, Southern Living, Coastal Living and Sunset. Dmitry worked on re-designs of People.com, Time.com and ThisOldHouse.com, with sites under his supervision reaching a billion monthly page views. At Viewpoint, where Dmitry started as Product Manager for interactive online products and later became Vice President of Creative Strategy, he managed the creative process for clients such as Nike, Sharper Image, Sony, Gateway, IBM, Ford and Boeing. Dmitry won numerous design and technology awards, including Media Industry Web Designer of the Year Award and Time Inc. President’s Award. Dmitry holds a BFA with Honors in Graphic Design from School of Visual Arts. 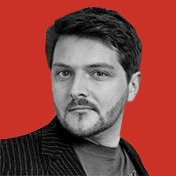 Dmitry is an adjunct professor at NYU Graduate School of Publishing teaching a course on designing for the web. Jeff is a creative professional specializing in developing complex and meaningful interactive experiences for web and mobile applications. Jeff's career began as Art Director of MIT/RISD startup ThinkFish Productions, developing natural media rendering technology and continuing on through a merger with Viewpoint DataLabs. Moving to Computer Associates, he served as Creative Director for a pilot R&D group exploring elegant visual access to complex data for their Unicenter enterprise management apps. Jeff rejoined Viewpoint Corp. in 2000 where he oversaw the creative integration of Viewpoint’s technology into AOL 8.0 with uses for immersive advertising, shopping and personalization. Prior to co-founding Cohere Studio, he operated a successful small studio, attracting clients such as Time Inc., IBM, and DNA Direct. Jeff holds a BFA with Honors in Illustration/ Animation from RISD.